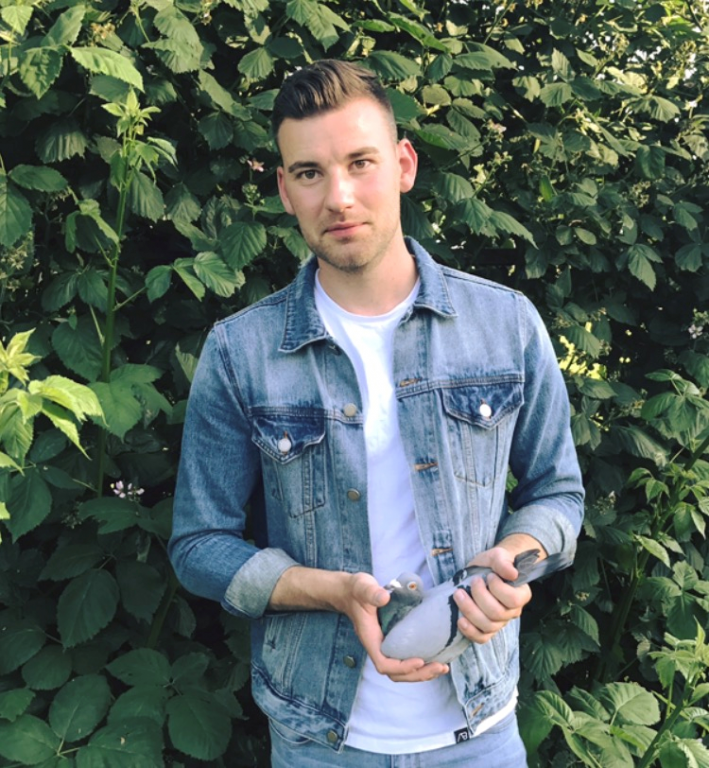 Stef Bals is a young and highly talented pigeon fancier who surprised his colleagues repeatedly in the past. 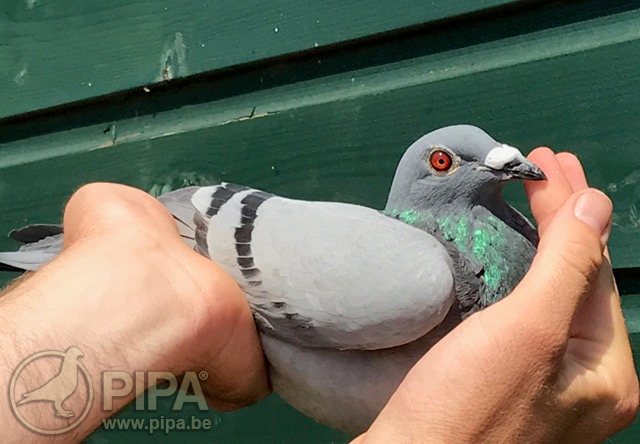 The race from Sens is the first major highlight in his pigeon racing career: he wins the first four prizes in Province Brabant 2000. The pigeons of S.C.A. Bals have been winning top prizes in Province 2 Brabant 2000 more and more often, and we wanted to find out more about the fancier behind this team. The 25 year old Stef Bals from Wouse Plantage can be considered a fairly young player. He started keeping pigeons at the age of five, initially keeping fancy pigeons and one bird that had landed here accidentally. Stef then met a pigeon fancier who was living down the street, and that is how he got introduced to the sport. He even gave Stef a few of his pigeons. The first real pigeon loft was built in 2003, and he raced for the first time in 2004. His first victory came fairly quickly, with a first prize in the club in 2005. Stef also claimed an Ace Pigeon title middle distance in the Blauwe Doffer district in 2010. It was the start of a great career: his pigeons have gone through a demanding 2018 season seemingly with ease, with a crowning achievement in Sens: a 1-2-3-4 of 4971 pigeons in Brabant 2000 (15/17). 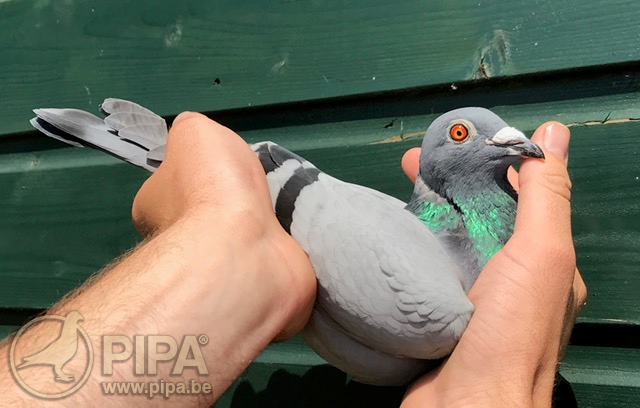 The pigeons that enabled Stef to excel in major competitions originate from the loft of Maarten Huijsmans (Hok Huijsmans, Hoogerheide, NL). It is no coincidence that it is Maarten who has been achieving some fabulous results almost every single week in Province Brabant 2000. Stef and Maarten met each other at the 2006 youth series day of Province Brabant 2000, where they were both awarded. Soon a number of Maarten's young birds were transferred to the loft of Stef, who promptly noticed that his results were improving. Stef obtained a pair of youngsters from Maarten in 2012, and one of them became Maarten's most successful young bird that year. Stef also borrowed the parents of that same youngster, and this was a turning point in his career. He wins his first NPO race from Sens in 2014 with a youngster of this pair. It was exactly the same race in which he excelled just now. Claiming a 1st and 2nd in the province with two youngsters from the same pair (NPO MEN x NPO Girl) that bred the winner of the NPO race a few years ago, is quite remarkable. NL17-3720611, 1st Sens Prov. 2 Brabant 2000 of 4971 p.
NL17-1366866, 2nd Sens Prov. 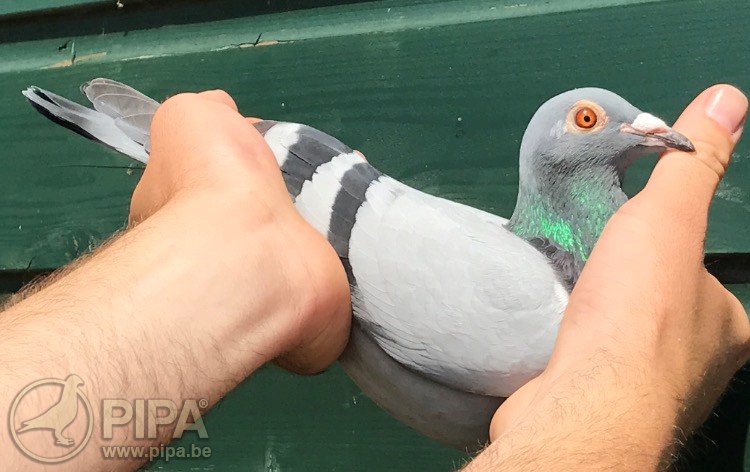 2 Brabant 2000 of 4971 p.
DE 877 1st Pont St. Maxence 13240 p./3rd Sens 4971 p.
The most promising pigeon of 2018 is without doubt NL17-1366877 DE 877. She was part of the main group from Sens (in 3rd place), after she already won a provincial race from Pont. St. Maxence earlier on (of 13,240 pigeons). The 877 is a granddaughter of NL08-1633110 Miss Universe, a fabulous breeding bird of Maarten Huijsmans. The sire of the 877 has won an impressive six first prizes. Click here for the pedigree of the 877, and an overview of her best results. NL17-1366883 DE 883, 4th Sens prov. 2 Brabant 2000 of 4971 p.
26-05 Pont St. Maxence 275 km   5 – 13240 p.
30-06 Melun            344 km   4 -  5678 p.
07-07 Sens             374 km   4 –  4971 p.
The pigeons are raced in double widowhood, and he starts the season with 36 pigeons. They are reduced to about 20 at the start of the middle distance season. Double widowhood allows you to race all of your best young birds, which Stef considers to be a major advantage. The young birds are trained mainly in the natour competition. 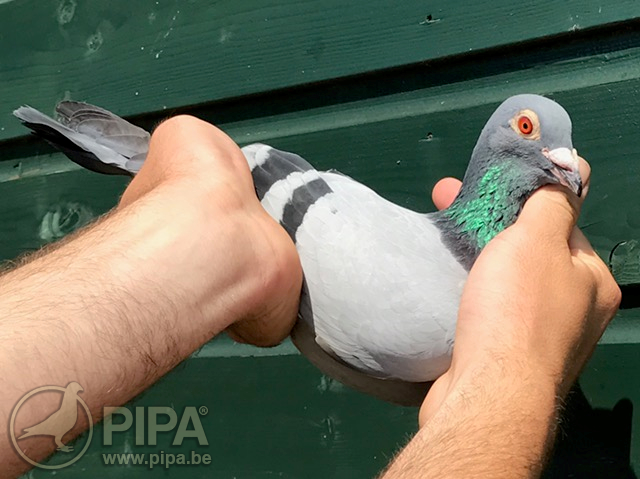 This results in fewer losses, and the pigeons get relatively few demanding races, which makes them fairly fast as yearlings. The floors of the lofts are covered with chopped straw, and the pigeons get a full feeding tray almost throughout the week. The pigeons are not shown before the race. The road to success seems mainly based around a high quality pigeon breed. Stef appears to have quite a few top class birds in his collection indeed, partly thanks to Maarten Huijsmans, and these have shown their potential in recent weeks in tough weather.